It is available for both Android and iOS devices and should work fine as long as your smartphone has enough power to play back the content, which shouldn’t be an issues for most. And since it is simply done in stereoscopic 3D, you are not even limited to using only Google Cardboard. A lot of third-party products exist for a variety of devices and screen sizes and a quick search online should get you quickly geared up for some VR fun. Even if you don’t have a headset and curiosity hasn’t really convinced you to splurge a few bucks, Legendary has also included a traditional 2D viewing mode. The content within the app itself naturally doubles up as a promotional material for the studio’s work. There are three experiences to go through. First up is a chilling tour of Allerdale Hall – the creepy gothic mansion featured in the upcoming film Crimson Peak. Then, for a quick change of pace, you get to see what it is like to pilot a 250-foot robotic warrior, taken straight from the set of Pacific Rim. Last, but definitely not least, you can take an enchanting ride on a Gryphon across the skies over Azeroth – a mythical realm inside the Warcraft universe, which is also set to appear on the big screen – namely this June in the epic World of Warcraft movie. 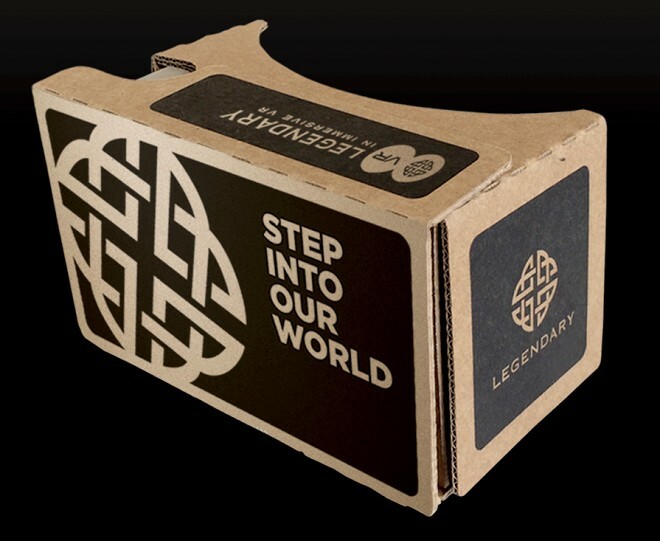 So, if you have a few minutes and a Google Cardboard lying around, we encourage you to give the app a quick run.